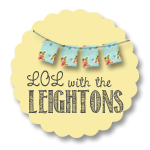 lol with the leightons: A New Look! 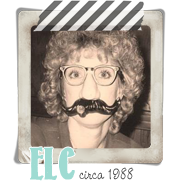 ELC had been bugging TLC to find a blog designer since our one year blogiversary on January 9, 2012. TLC, being preggers for the first time, basically ignored her mother. In a sweet, yet quite dismissive, way. Finally, E took matters into her own hands. She contacted someone both of the LCs adore: Ruthanne at Eclectic Whatnot. If you’ve never visited her blog, you simply must. Her humor and honesty will get right into your soul. Trust us. Ruthanne, being the kind young woman she so genuinely is, got right back to ELC and gave her Danielle’s info. After going to Danielle’s website, Take Heart, and sending her some preliminary questions, ELC ordered what Danielle suggested. In a matter of three days, VOILA! Our new design! If you ever require (or just desire!) design work, please visit Danielle’s website. Look at her Portfolio. Some of her other services include: business cards, Twitter and Facebook cover photos (ELC has no clue what this means—however, she and CeeCee plan to have Twitter accounts—soon—therefore, she’s confident they’ll need whatever the heck this is), photocards and invitations. 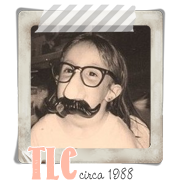 Read Danielle’s blog. It is charming, sweet, touching--exceptionally exquisite. Labels: Reckon Danielle Could Give ELC A New Hairdo Design? you all are SO sweet. thank you for making me smile so big just now. happy blogging!! It is so lovely here! Just like the two of you. Good Wednesday Morn, Ruthanne and Danielle! Thank you very much for your kind comments. We sincerely meant every word we said about you two Sweethearts. Every single last word. In fact, we didn't say enough. We ADORE you both...truly. ...And Carry A Big Stick!